For most students, the arrival of summer doesn’t just signal the end of another year of study – it generally means that it’s time to move house as well. You may well have secured the ideal place to live next year, but it doesn’t solve the age-old problem of what to do with your gear during the summer. Student landlords who let you leave your belongings behind during university holidays are few and far between. 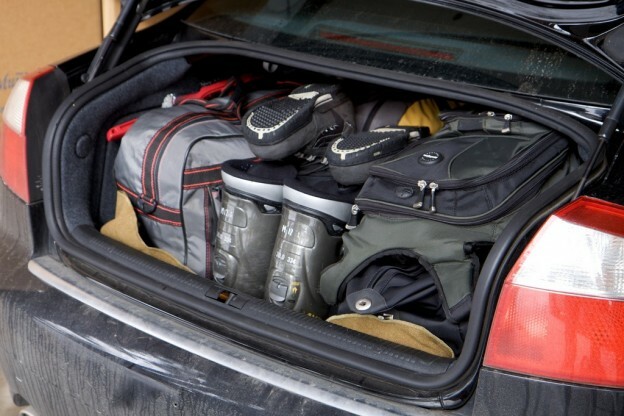 For those lucky enough to be running a decent-sized car (or to have obliging parents), stuffing everything in the boot and hauling it home at the end of the year – and back at the start of the new term – may seem like a good idea. In theory, that means you can check everything over at your leisure while you’re at home; in practice, the truth is often very different – the contents of many suitcases and storage boxes don’t see the light of day between one term and the next. If that’s you, consider a sensible alternative – storing your non-essential belongings in a local self-storage facility for the duration of your summer break. More and more universities and colleges are recommending their students to do just that, as it’s a convenient and very cost-effective solution. Modern self-storage units are secure, dry and easily accessible; most offer flexible rental periods that allow you to rent space only when you need it, allowing you to avoid the hassle of becoming an amateur removal service at intervals throughout the year. There are generally only a few sensible restrictions on what you can store, so leave those unwanted boxes of “stuff” safely behind when you head off for the summer. Decision made, all you need is a friendly local self-storage company. If you’re studying in Reading or the surrounding area, look no further. Reading Storage Solutions offers secure self-storage in Reading for students (and anyone else needing extra space), with prices starting from £79 + VAT per week for an 80 sq ft self-contained unit – and that’s big enough to store the contents of a small flat. Many of our student clients get an even better deal by sharing a unit with house- or flat-mates. We make life as easy as possible for all our customers, with a simple rental agreement, rental periods that start only a week and inclusive insurance for up to £5,000-worth of your belongings. Our aim is to let you sign up, move in and then get on with your holiday with as little fuss as possible. We’re located close to Reading town centre and there’s easy access at most convenient times – with out-of-hours access by prior arrangement. So, what are you waiting for? Give Reading Storage Solutions a call today on 0118 94-62-442 or 07823 77-79-77 and find out how to manage your summer break. Like most things, once you’ve learned how simple it is, you won’t want to go back to your old ways – but then that’s what education is about, isn’t it? This entry was posted in Container Storage, Personal Storage, Self Storage, Self-Storage Insurance, Short Term Storage on February 10, 2015 by mike.bailey.